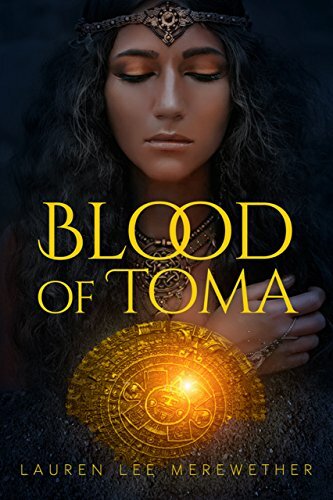 about this book: Blood of Toma is a story I enjoyed crafting through weeks and months of researching the facts surrounding the Aztecs, or the Mexica as they called themselves, and the Spanish conquest of Mesoamerica. The title surrounds the aspect of blood appeasing the Mexica gods and the people finding favor in their sight. The Mexica practiced human sacrifice and the Mexica priestess Tomantzin in the story is chosen as the New Fire Ceremony sacrifice so it is her blood that will appease the gods. Blood is a symbol in the book for value the characters place on certain items, ideas or people. I hope you enjoy finding the little eggs like these I've placed throughout the book for you. Foreword Clarion states: "Power, greed, revenge, duty, and love surround a young Aztec high priestess and an honorable conquistador flung together in the exotic and deadly jungles of Mexico in Blood of Toma...Merewether does an admirable job of bringing order, beauty, and a sense of honor into the lives of the Mexica people, known for slavery, brutality, and human sacrifice."